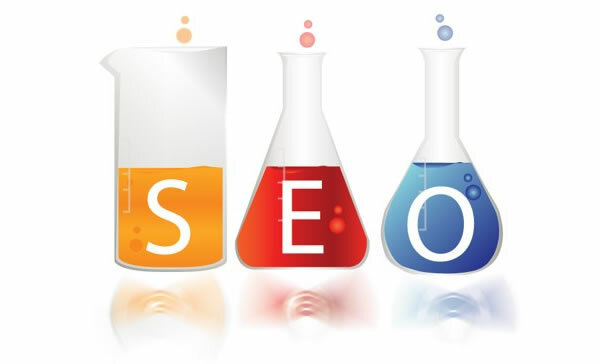 Many small businesses do not have unlimited time and resources to devote to search engine optimization. Small business SEO can be difficult to master, but it doesn’t have to be. Writing and posting regular blog posts is one of the best small business SEO techniques. But how to you keep those blog posts both reader-friendly and SEO-friendly? Here are nine tips that should help you keep your blog search engine optimized and even improve your writing. 1. Take some time to consider what you’re going to write, before you write it. Jumping in with both feet and starting to write before you really know what you are going to write is usually not a good idea. Before you actually start writing, think about what you want to communicate to your readers, what the underlying purpose of the post is going to be, and what you actually want to encourage your readers to do once they’ve read your entire post. Make sure you know these vital things before you actually put fingers to keys. 2. Write yourself an outline. This isn’t a totally necessary step—many of us cruised through school without ever once writing a single outline for a paper—but the truth is that an outline can be a great way to organize your thoughts and make sure your blog post has great flow before you actually write anything. Getting the structure down before you write will save time when it comes to editing in the future. No one wants to read a giant chunk of text. It’s difficult to swallow and especially when reading on a computer screen, it is easy to get lost or distracted. Long blog posts are better than short ones (if you have enough information to cover with more words, of course), but you can mitigate distraction or boredom by breaking up your post into paragraphs, numbered lists, bullets, etc. Not only are subheadings great for search engine optimization, they are also great for the reader (which is probably why they are so great for SEO). You can easily make your post more readable by using subheadings to separate different topics or points within your post. Writing out your subheadings before you start writing the post will also help you make sure you cover all of the information you want to cover. The right words are those that help readers who are really just skimming your article to find its main points and absorb what you’re trying to convey, even if they aren’t willing to actually put in the time to read the entire article. These are words like “first,” “second,” “instead,” “finally,” etc. They indicate that what follows is going to be something important, so the reader knows to take the time to actually read that sentence. 6. Run your post by two people. Before you actually hit “post” on that blog, make sure that you have at least two other people read that blog. Because we are not always our best editors and we are also not always the bed judges of what does or does not make sense outside of the context of our own understanding. Handing the post off to someone else before actually posting it can ensure that the typos or mistake that your eye has missed are caught and that the message that you are actually trying to convey is coming across properly. If you often find that things make sense inside your head but are less clear on the page, do not skip this step—find two editors to help you out. 7. Find the right length. Some search engine optimizers will claim that a post has to be over five hundred words in order for Google to take it seriously. Some will even say that if a post is less than two thousand words, it isn’t even worth posting. The truth is that you should only use as many words as it takes to provide real value to the reader. If you can completely cover a topic in an engaging manner in less than three hundred words, that is as many words as you need. If you need five thousand words, the same is true. 8. Add links to previously posted content. If you have already covered a topic in another post or have a post that provides more information or more depth about a topic you skim over in this content, you can easily provide more value to your reader by adding a link to those other posts. Linking inside of your own website strengthens your small business SEO—it makes you look more authoritative to search engines and simply provides more value to the average reader. 9. Use a SEO plugin. No matter what platform you are using to host your blog (most small businesses use WordPress because it is easy to use, but there are lots of blog platforms out there), you should be using the SEO tools presented to you. WordPress’s most popular tool is Yoast, which gives you a grade for every post and shows you where you can improve to ensure your post is as optimized as it can be (without being too optimized). Using a plugin like this make optimization easy, whether you are doing all your own SEO or whether you are passing it on to a web developer or freelancer. Follow these ten small business SEO blogging tips and you’ll have more engaging, more effective blogs!